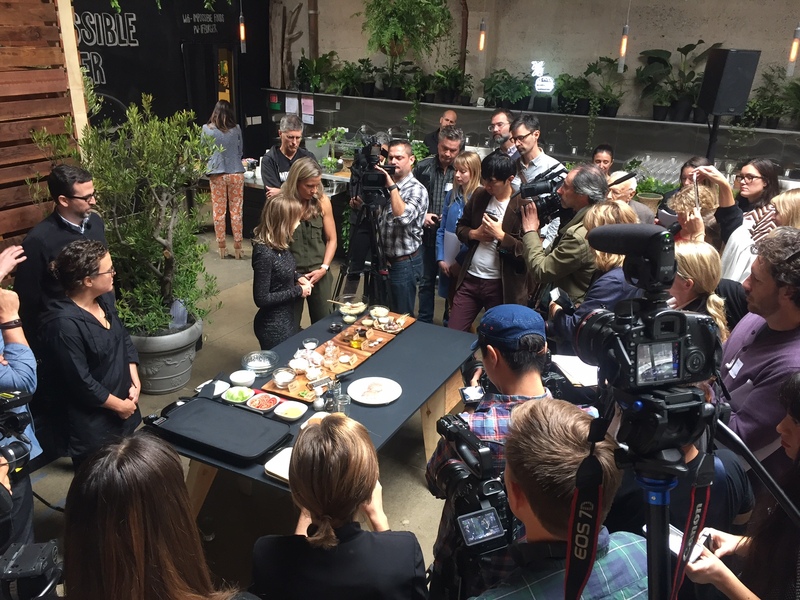 On Wednesday, journalists swarmed a SoMa wine bar to hear which California restaurants would carry Impossible Foods' planted-based Impossible burger. Starting Thursday, three restaurants will begin selling the burger including Jardinière and Cockscomb in San Francisco and Crossroads Kitchen in Los Angeles. 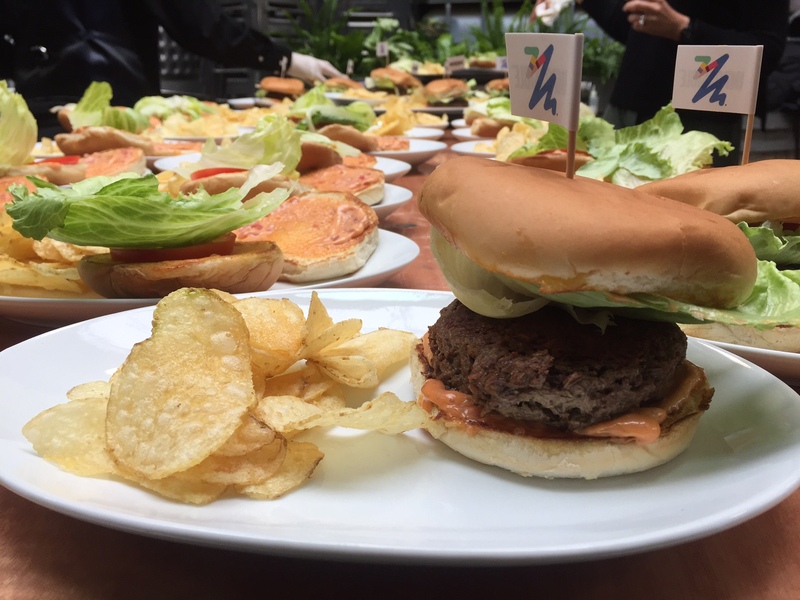 "The goal is to turn plants into meat much more sustainably and efficiently," Impossible Foods founder and CEO Pat Brown said during the event. Chefs Traci Des Jardins, Chris Cosentino and Tal Ronnen joined Brown to talk about why they wanted to sell the burger. "All the amino acids and the heme that come together in the taste, that’s what got me," said Cosentino. 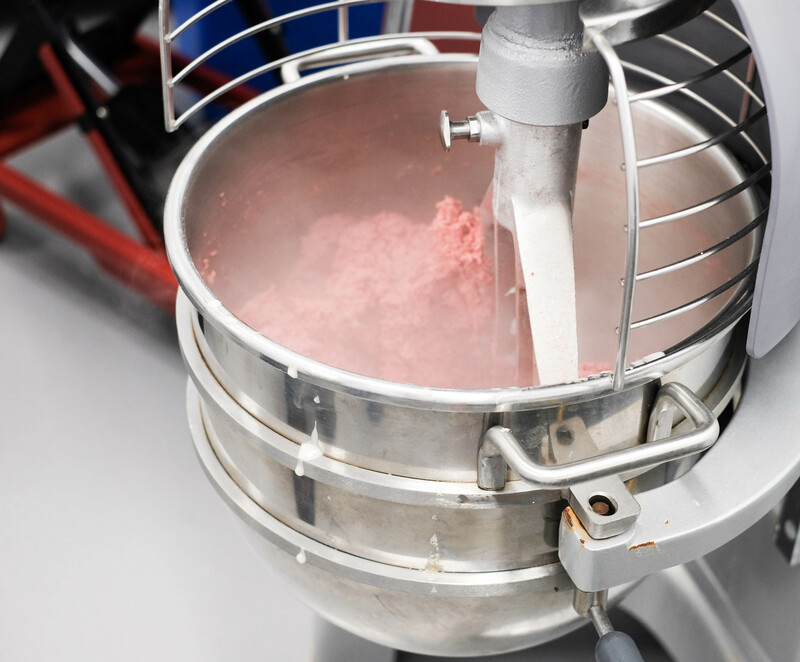 By genetically modifying yeast to produce heme, an iron-containing molecule in red meat, the company has created a "bloody" burger that's pink when raw and turns brown when it's cooked. 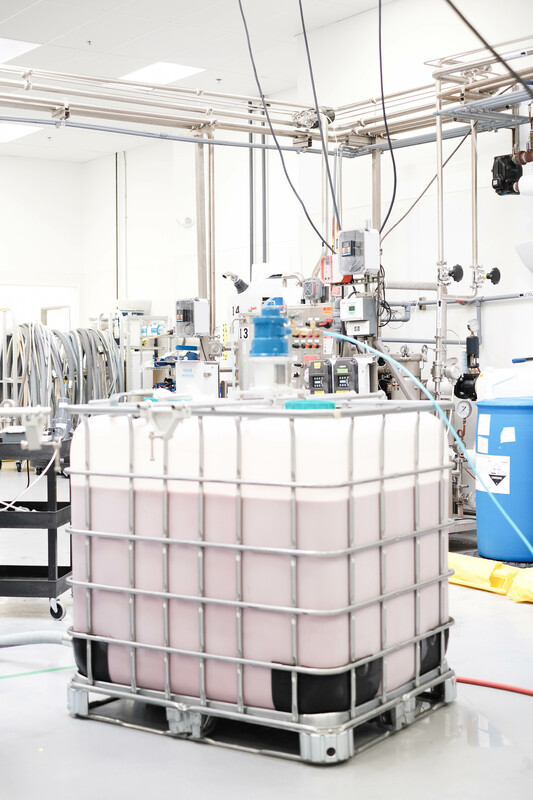 It's bioengineered to mimic the taste, smell and mouthfeel of beef. Textured wheat and potato protein form the base of the ground "meat" with flecks of coconut oil mixed in. 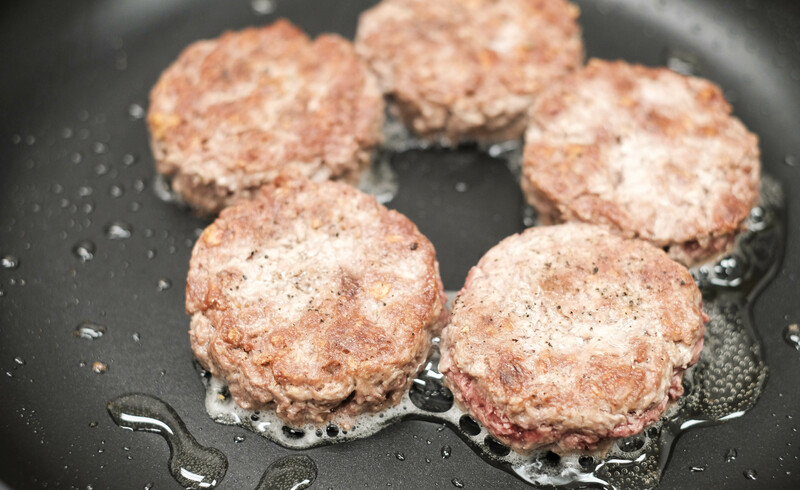 The coconut oil stays solid until it hits the frying pan, where it begins to melt, just like beef fat. Brown, a former Stanford biochemist, said he wanted to give people the pleasure of eating meat without the environmental consequences. "With seven billion people on the planet demanding meat, it's really become an environmental disaster," says Brown. 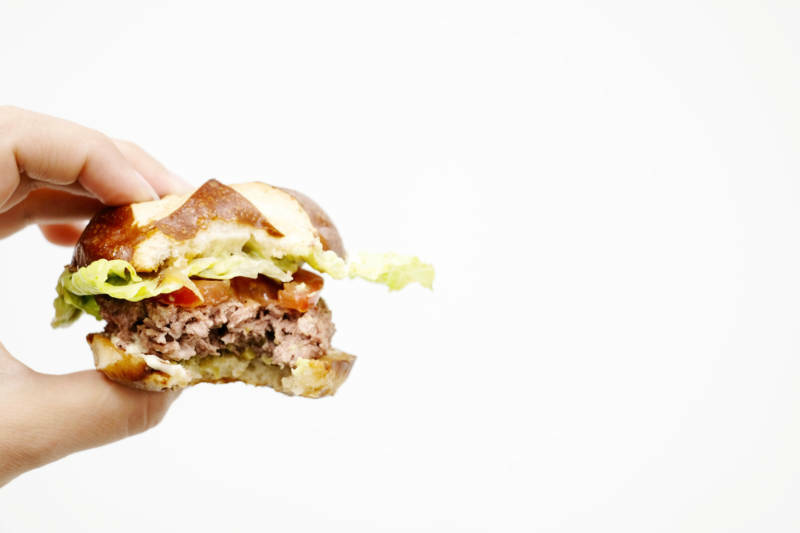 The Impossible burger uses 95 percent less land, 74 percent less water, and creates 87 percent fewer greenhouse gas emissions compared to cattle raised for beef. And eventually, Brown says, his company's burger will cost less than hamburger patties in the grocery aisle. But some critics say Americans don't want genetically engineered "Frankenfood" and that environmentally-friendly reasons aren't enough. “I don’t think you’re going to get people to convert over," says food analyst Jeffrey Landsman. However, earlier this year, the company unveiled its burger to much fanfare at chef David Chang's Momofuku Nishi in New York. It has chosen restaurants over grocery stores partially to control the taste and dining experience. Award-winning chef and owner of San Francisco's Jardinière, Traci Des Jardins, has helped the Redwood City-based company come up with complementary flavors for the burger. Impossible's competitor, Los Angeles-based Beyond Meat, has taken the opposite approach. This summer it started selling fresh patties in the meat aisle at Whole Foods in Boulder, Colorado and expanded to six other states, although it isn't available in California yet. Just this week, chicken giant Tyson Foods bought a stake in Beyond Meat suggesting a growing market for the increasing number of faux meat companies.